Allow me to introduce you to my first ever batch of chocolate pudding. It’s not something I’ve ever considered making until I saw the recipe on the back of the Let’s Do Organic Cornstarch box. As it so happened, I had all the needed ingredients in my home so I decided to try something new. 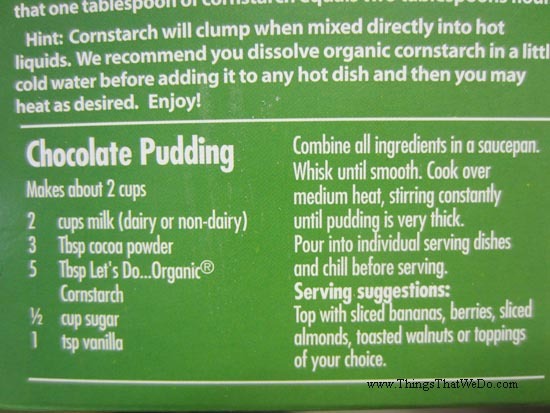 Based on the instructions, making chocolate pudding shouldn’t be too difficult. The only thing I did was reduce the sugar content and made it with only ¼ cup of sugar to suit our taste buds. 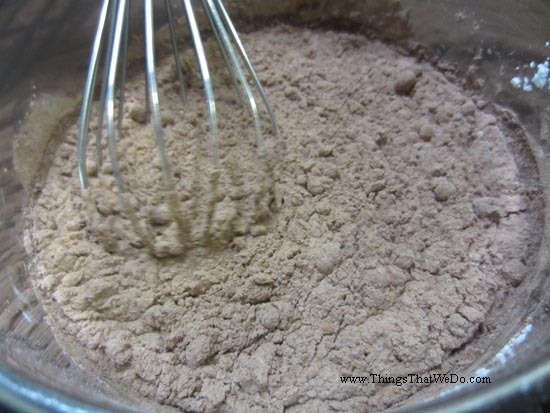 I diligently combined all the ingredients in a pot and whisked them all together until smooth. 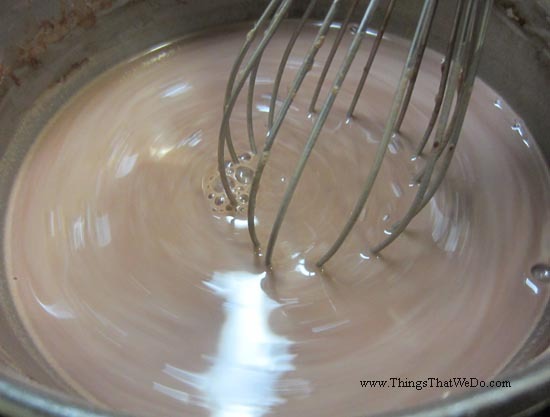 Over medium heat, my daughter and I took turns stirring the pudding until it became very thick. Of course, this was a tad confusing for us novice pudding makers. After all, how thick is ‘very thick’? Well, we got that answer. Initially, it seemed like nothing was happening. We stirred. 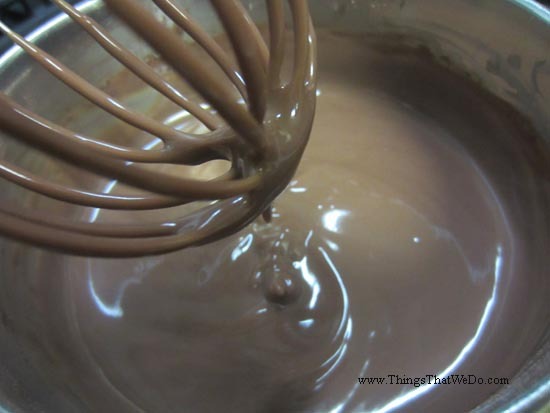 Finally, after a few minutes the pudding mixture started to coat our whisk – definitely a good sign. 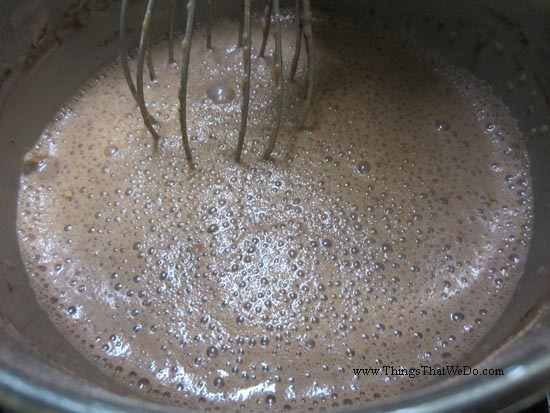 Next thing you know, the pudding mix suddenly transformed, thickened quickly and we took it off the stove. 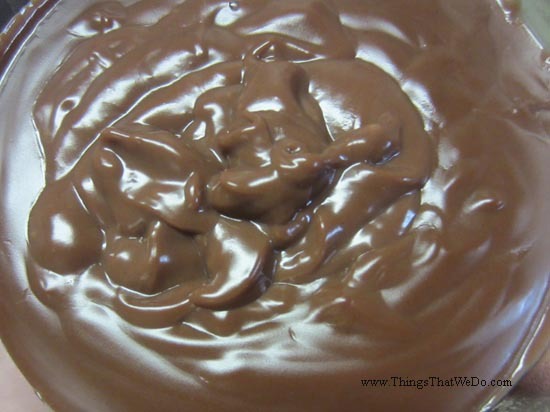 The pudding developed a beautiful sheen and looked just like chocolate pudding should. 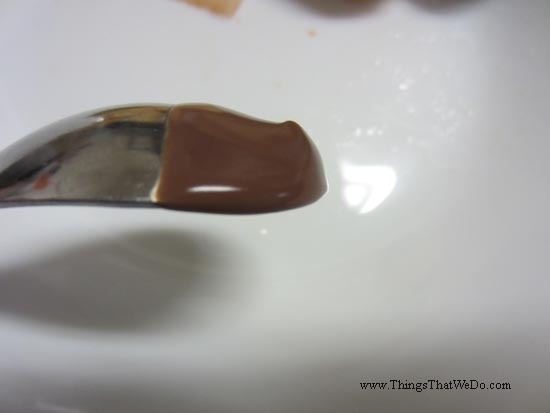 Look, it even coated the spoon beautifully! As the chocolate pudding cooled, something else happened. The chocolate pudding thickened a bit too much. I don’t even know if you call this pudding anymore. Do you? The texture was still soft and gooey but certainly took on a chunkier look. It didn’t affect the taste however. Given that I’m not a regular chocolate pudding eater, I had no idea how it was supposed to taste. 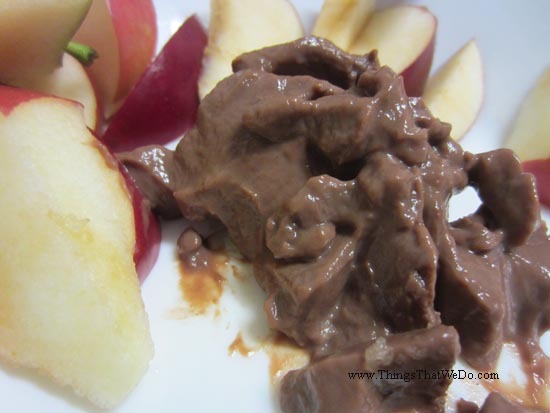 Obviously, chocolate pudding should be sweet and chocolaty but beyond that – no clue. The big kid, Jenny, certainly approved. It was just sweet enough not to be gross and she wasn’t bothered by the thicker texture. 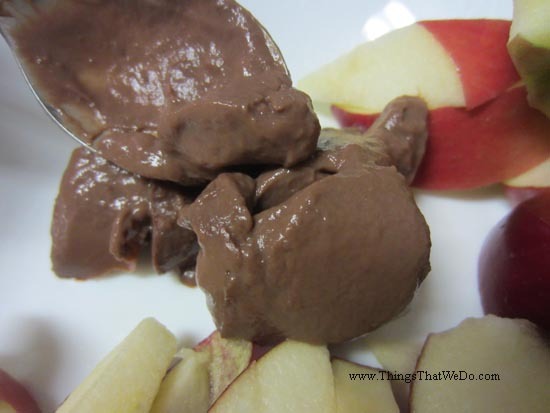 We decided to pair the chocolate pudding with sliced apples which she found to be particularly delicious! Again, who knew?! I tasted the chocolate pudding as well but I can’t say much. I’d rather eat the apple given that I’m not really a big chocolate fan. I am glad, however, that I lowered the sugar content though. It was already sweet enough! Now that I’ve made chocolate pudding once and tried something new, I might try using a little bit less cornstarch next time and see how the chocolate pudding turns out. Lesson Learned: trying new things can lead to some pretty neat discoveries! Thank goodness I picked up that box of Let’s Do Organic cornstarch! 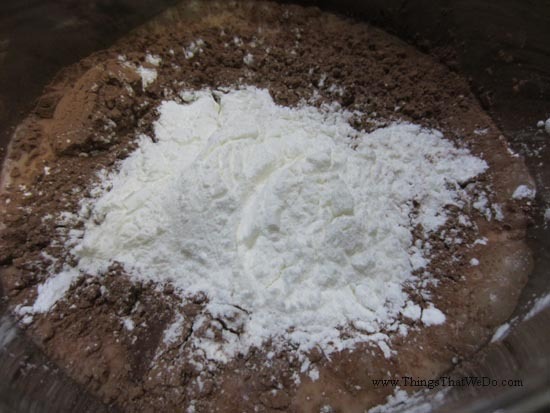 In case you want to read my earlier review of the Let’s Do Organic cornstarch, click here. Reminder: this post was written by and for thingsthatwedo.com only and reflects the opinion of one wee small family. If you see this post anywhere else except on my site at thingsthatwedo.com, know that I have not consented to having any part of this post (or this website for that matter), to be re-produced, copied, or re-printed anywhere else. Practice ethical posting! Copyright© 2017 ThingsThatWeDo.com. All Rights Reserved.